Lakeside Flutes is a select ensemble of talented flutists from the greater Chicago area. Founded in 1987 by a group of flute enthusiasts, we look forward to continuing to introduce the public to a wide variety of flute literature and to the unique sound of ensemble playing in a flute choir. Classical, pop, jazz, and contemporary styles will be featured. Our ensemble is made up of amateurs, some of whom have college level training in music. The professional lives of the members are quite diverse, bringing a wonderful mix of skills and experience that enhances the group's understanding of the music it performs. 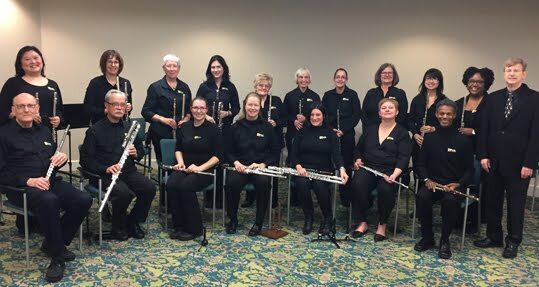 Lakeside Flutes performs concerts for a variety of venues from concert series and conventions to libraries and retirement communities, as well as providing smaller ensembles from the group to perform for public and private events. Lakeside Flutes is a not-for-profit, tax-exempt organization.